Swimming, plane travel, outdoor concerts, and fireworks have two things in common: they are all associated with summer fun, and they can all potentially affect your ears. 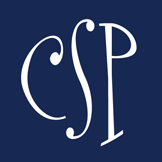 Melissa Horning, an audiologist with Charlotte Eye Ear Nose & Throat Associates, P.A. offers advice on how people can keep their ears and hearing safe this summer. Is it safe for people with hearing aids and cochlear implants to go swimming? Could the water damage these devices? Hearing aids and cochlear implants are water resistant but not waterproof. In other words, most cochlear implant sound processors and hearing aids have a protective coating or sealant that can protect them against splashes or short contact with moisture. Long-term exposure, or being fully submerged, will affect the device’s long-term function. All three cochlear implant companies that CEENTA works with (Med El, Advanced Bionics, and Cochlear Americas), however, have swim accessories that make sound processors fully submergible in water. This is huge! I have young children who can now attend swim lessons and adults who can take water aerobics with ease because they can now hear their instructors. Is there any way to protect them or your ears while swimming, like ear molds? Swimmer ear molds are custom made and help keep water outside of the ear canal by sealing off the entrance. Both children and adults can protect their ears while swimming with custom-made ear molds. They may be considered for those who are recovering from ear infections or ear surgery, as well as those with chronic conditions like drainage. What is swimmer’s ear? Can it cause permanent hearing problems? 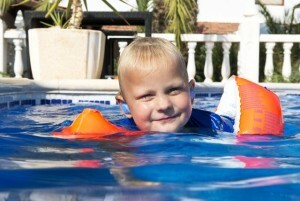 Swimmer’s ear is an infection or inflammation of the outer ear and ear canal. It is typically triggered by bacteria or fungi found in water. When treated early there are generally no long term complications. However, it is important to call your physician if you experience any of the following symptoms: drainage from the ear, ear pain, hearing loss, or severe itching of the ear canal. People will be flying a lot as they go on vacations. Can the sounds of jets harm a person’s hearing? Due to the distance from the engine and the relatively short duration of take off, it is unlikely for passengers to experience noise-induced hearing loss from flying. Pilots and those who may work at the airport and are exposed to the sound of jet engines on a routine and prolonged basis should utilize hearing protection. For passengers, it is more important to be aware of “airplane ear.” When an airplane ascends or descends the air pressure in the environment changes rapidly and your Eustachian tube often doesn’t react quickly enough. This can cause pain, discomfort or temporary hearing loss during a flight. Swallowing or yawning activates muscles that open the Eustachian tube and allow the middle ear to replenish its air supply, often eliminating the symptoms of airplane ear. If these symptoms persist, however, a consultation with a physician is encouraged. What should adults and children do to protect their hearing at outdoor concerts? A good rule of thumb to remember is that if you must shout at your child for them to hear you, the environment is too noisy. With this in mind, there are many day-to-day activities where your child can be exposed to damaging sounds for an extended period of time: lawn mowers and leaf blowers, hair dryers, power tools, and farm tractor noise, for example. Recreational activities can also be a source of damaging noise: hunting and target shooting, riding personal water craft, attending rock concerts, and listening to music on personal devices. For these situations, hearing protection is strongly encouraged. Earmuffs and earplugs can be purchased at most drugstores, hardware, and sporting good stores. Custom ear molds can be made to fit both children and adult ears by an audiologist. To address listening to loud music under headphones or ear buds, keep personal listening devices set to no more than half volume. If this is not feasible, volume-limiting headphones should be considered and are encouraged to prevent long-term hearing damage. Are fireworks bad for the ears? There are several factors to consider when determining if a fireworks display has the potential to cause hearing loss. First is the distance from the sound source. The further you are positioned from the fireworks explosion, the less likely sound is to affect your hearing. The second is age. Infants and young children should be positioned farther away than adults. Infants and young children have smaller ear canal volumes, which equates to a larger amount of sound pressure traveling through their hearing systems. Per recommendations of Boys Town National Research Hospital, a safe distance for children is 50- 60 meters away (roughly the width of a football field). If you are unsure if you are a safe distance away, earplugs and earmuffs should be considered, especially for young children and infants. Personal hearing protection should ALWAYS be used if you are setting off your own firecrackers or personal firework displays. Patients should know that it is never too late or too hard to prevent noise damage from further developing or starting. It is possible for both children and adults to enjoy active lifestyles while protecting their hearing. 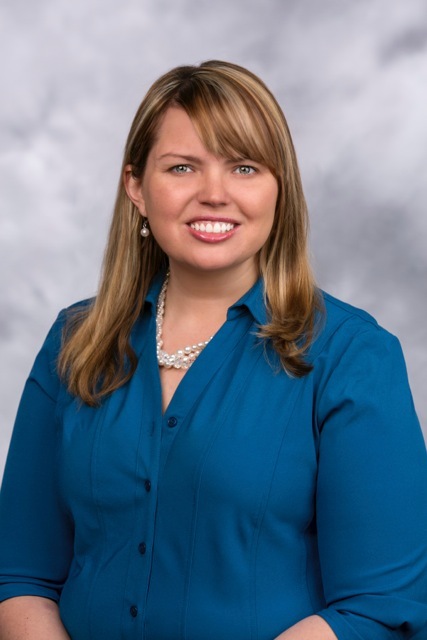 Melissa Horning is an audiologist who attended Hiram College for her undergraduate degree and Syracuse University for her graduate degree. Her residency was at Rainbow Babies & Children’s Hospital, a part of University Hospitals Case Medical Center. She sees patients in SouthPark. Smarty Alert: Tons happening at AIR this summer! Very interesting. I have had tinnitus for decades. When I first started vaping I used the typical 70/30 PG/VG juices but it irritated my throat a bit so I moved more and more to VG. I’m now at about 80% to 90% VG. I’ve not noticed any change in the tinnitus from when I was still smoking to now, but something is obviously changing for you :thumb:. It will be interesting to see if other people share your experience.